South University, High Point’s College of Business recently hosted a career panel for students.Representatives from the Guilford County Health Department, Angel Hands Home Healthcare, Cone Health, Novant Health, and Assar & Associates were on hand to provide insight and answer questions. 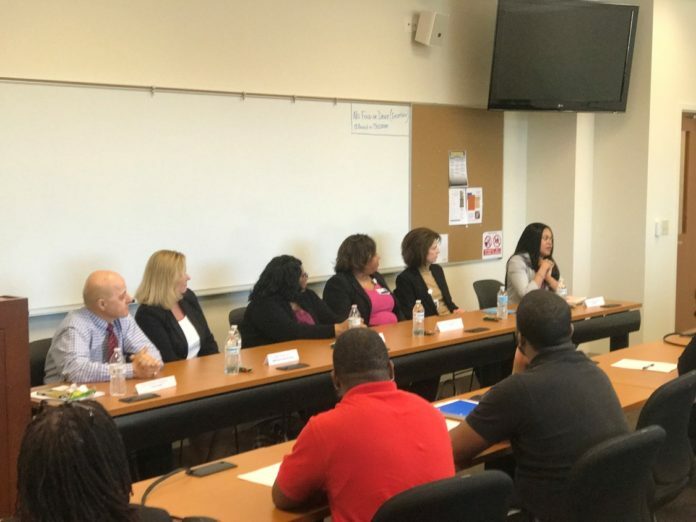 The panel of human resource representatives, supervisors and managers covered topics including the hiring process, resumes, and strategies to set students apart from the rest of the field during their job search. College of Business faculty member Dr. Kymm Watson facilitated the event.